Cosy and inviting, red curtains are an ideal choice for any room. Find shades of scarlet, port and coral in our fabulous range. 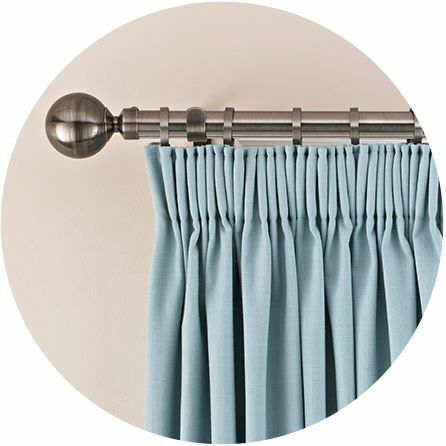 Elegant folds, gorgeous prints, and a huge choice of colours and textures make our curtains an integral part of any interior. 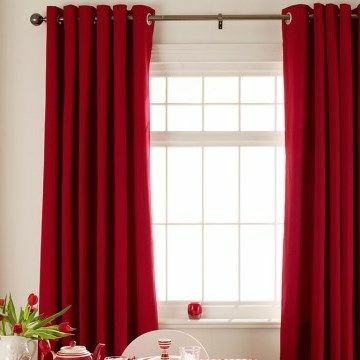 Create a ravishing interior with gorgeous red curtains from our collection. Red is a seductive shade that can be used to create a multitude of moods within the home. Choose scarlet or vermillion to energise a social living room or formal dining room. Or for a cosy and convivial feel, pick out shades of warm redcurrant and brick. And for a truly opulent look, try the rich tones of ruby and port. During your in-home appointment, we’ll bring our entire range for you to browse at leisure and help you decide on any optional extras, such as header types, curtain poles and finials, performance linings and tie-backs. You can even pick out cushion covers in complementary fabrics. 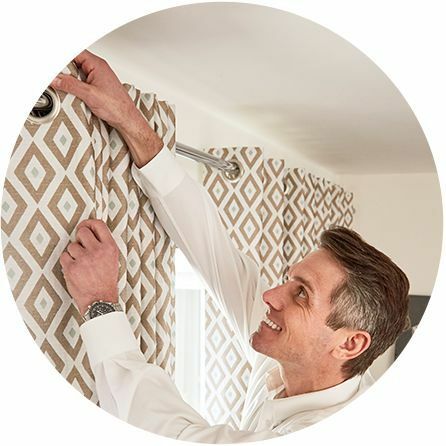 And don’t forget that when you’ve found your favourite fabrics, our expert advisors will measure up and professionally fit your stunning made-to-measure curtains, all as part of our dedicated in-home service.